The much anticipated hairy crab season is finally here! 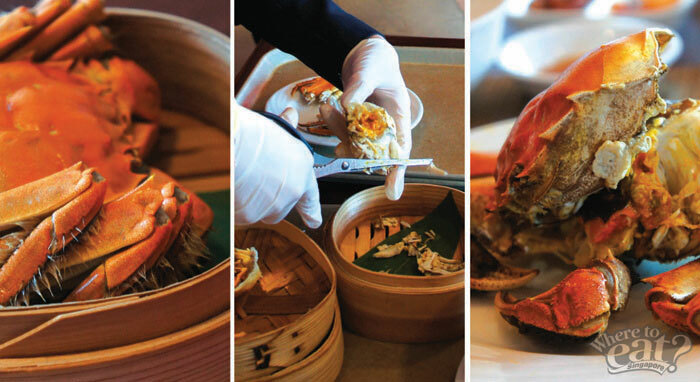 Sourced from the third largest freshwater lake in China, Lake Tai, the freshwater hairy crab is sought after for its succulent sweet meat and highly coveted crab roe. Served in different ways, true connoisseurs will contend that the best way to enjoy these hairy crabs is to simply… steam them! Steaming does not only retain the hairy crab’s natural sweetness, scent and freshness, it also creates a clean taste and plump texture. That is why you must try Szechuan Court’s Steamed Hairy Crab with Shiso Leaf. The dish delivered a sweet mellow flavour and was relishable – given the fact we were served a gravid female crab, and able to tuck into creamy dense crab roe. But of course, the Baked Hairy Crab with Shao Xing Chinese Wine does not disappoint too. Owning to the cold nature of hairy crab, Szechuan Court serves all crab dishes with Hot Ginger Tea to keep your stomach warm. 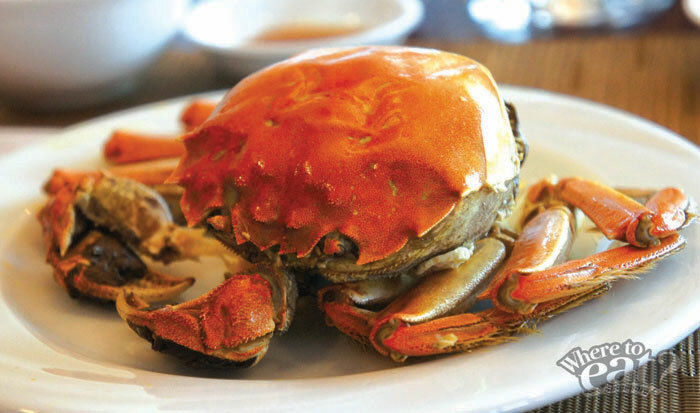 During this season, Szechuan Court a la carte menu also features other hairy crab dishes. 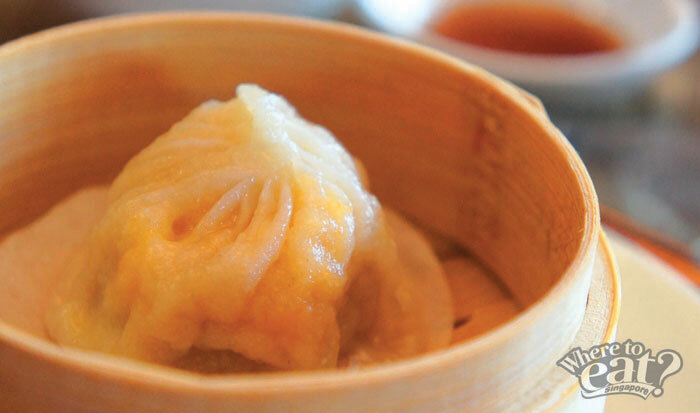 If you are a dim sum lover, you will find delight in the Steamed Shanghai Xiao Long Bao with Hairy Crab Meat. Which is apparently not xiao (小) or small, but big with immense amount of hot, juicy minced meat and crab meat fillings. 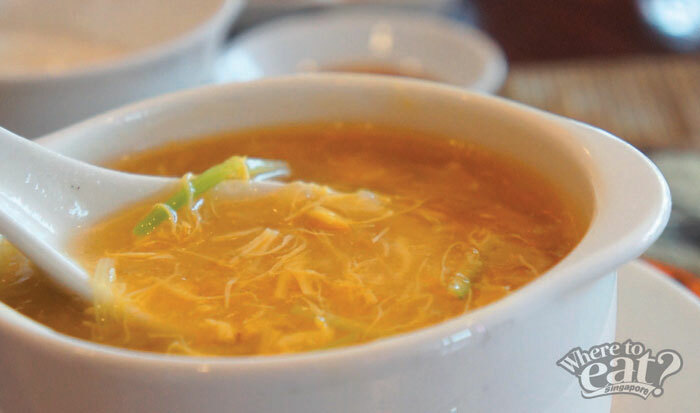 If you’ve been looking for the prefect alternative to shark fin’s soup, then Bird’s Nest Broth with Fresh Crab Meat it is. The translucent bird’s nest was visible even against the orangey broth. We felt the dish was rich, robust and tasty even without adding in the vinegar and pepper condiments. 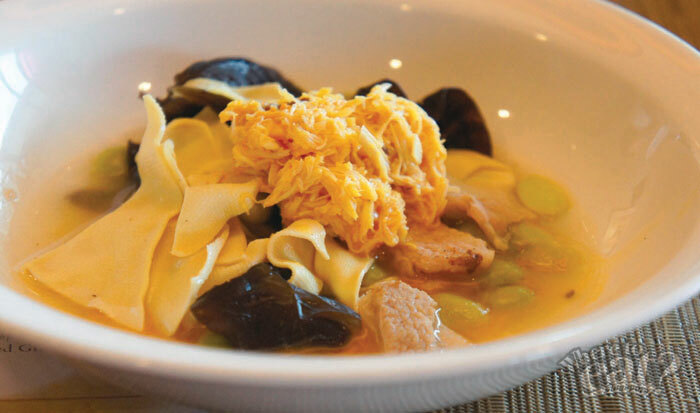 Another healthy dish you must try is the Braised “Bai Ye” Tofu with Crab Meat and Edamame. Coupled with tender pork slices and chewy black fungus, the dish created a unison between Japanese and Chinese ingredients. We were also amazed at how perfectly cooked the tofu skin was, you could feel its fairly grainy but smooth texture as it slips on your tongue. Maybe you are the sort who’d prefer a fried selection of hairy crab meat. If so, try the Wok-Fried Rice Cake with Fresh Crab Meat and Shredded Chicken. 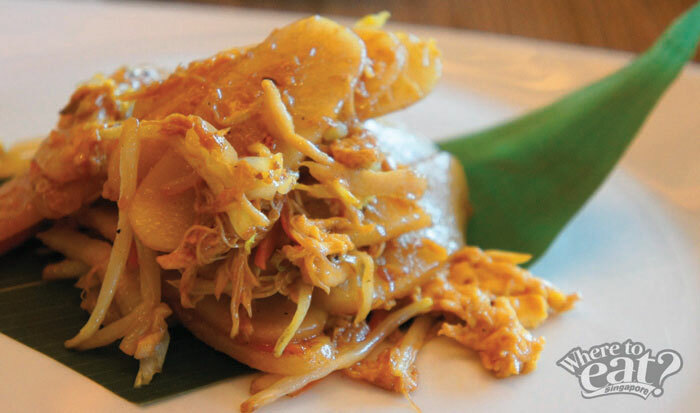 Comprising of flaky crab meat, shredded chicken and soft bean sprouts, tossed with chewy rice cake, the dish created a very localised taste with distinctive wok hay. Alternatively, try the Fried Crispy Cod Fillet Stuffed with Fresh Crab Meat. 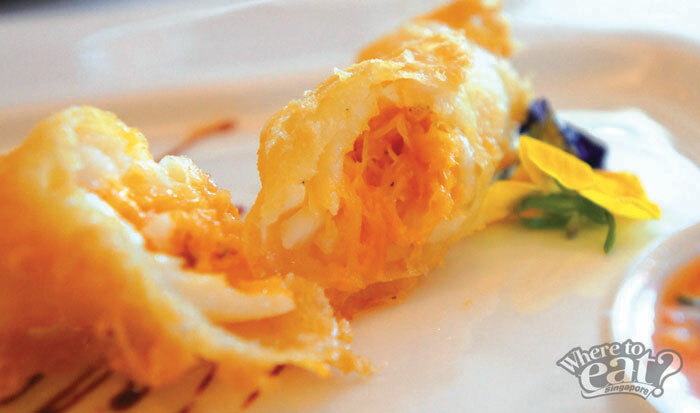 A thin but crisp outer layer held the lean cod fish and flaky crab meat together, so you could devour in different layers of textured ingredients in one bite. 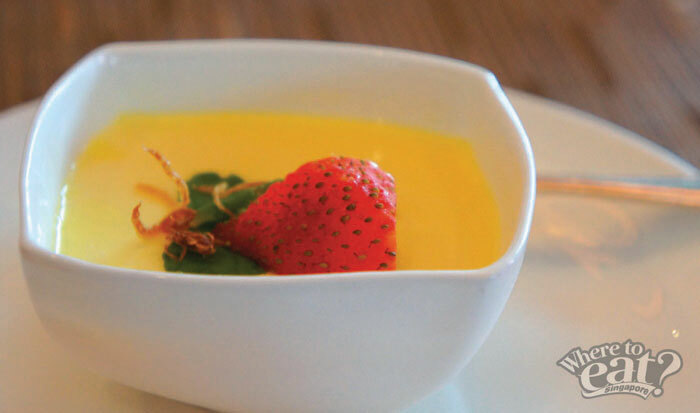 For the perfect ending, try the Chilled Ginger Pudding, well-balanced with sweet, silky smooth pudding and subtle hints of spicy ginger. We thought it made a comforting closure to an indulgent meal.